UNESCO’s latest publication reviews data on major harmful algal bloom (HAB) incidents, understands trends of the events and evaluates policies to contain them. The book Toxic and Harmful Microalgae of the World Ocean is written by marine biologists and toxin chemists Patrick Lassus, Nicolas Chomérat, Philipp Hess, and Elisabeth Nézan. The HAB increase is closely coupled with the intensified exploitation of coastal zones for aquaculture, tourism and other human activities bringing people and resources in contact with toxic microalgae. Also, these activities alter conditions favouring the development of HAB through an overload of nutrients from human waste and chemical runoff, overfishing and increased maritime transport. 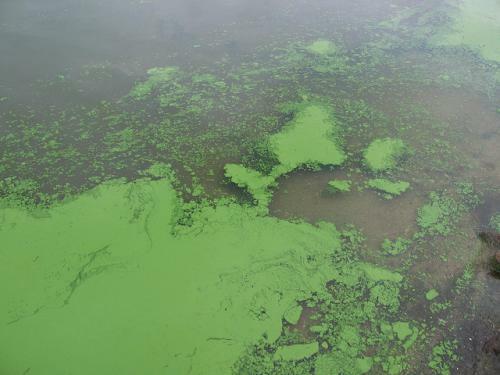 Harmful algal bloom cause economic damages relating to human activities such as fishing, aquaculture, tourism, desalination plants, drinking water supply and health care among others. A summary released for policymakers estimates that marine HABs cost around US$ 95 million to the US, over $850 million to Europe and around $1 billion to Asia annually. However, not all is news is bad. Decreases have been observed in places where policy decisions led to improvements in the treatment of waste waters and fish-farming technology. The Seto Inland Sea of Japan, where a HABs monitoring programme has been in place for 50 years, is a case in point. Harmful algal incidents in Seto have stabilised at 100 per year, primarily due to national regulations to control nutrient and waste discharge, says UNESCO. In many European countries, HAB reductions are primarily due to management action based on observations and early warnings. These countries implemented effective monitoring following severe and extensive poisoning cases during the 1980s, after EU regulations. In its review of the environmental factors, the publication examines in particular the impacts of eutrophication (high concentration of nutrients in the water), overfishing, globalised maritime traffic and climate change.